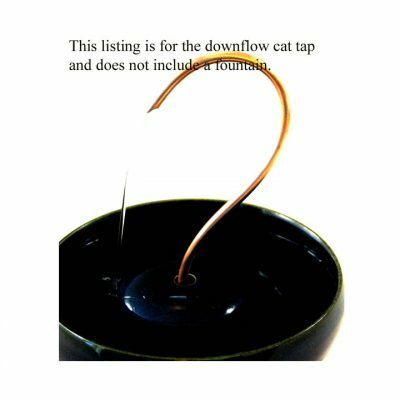 The antimicrobial Downflow Cat Tap is ideal for cats wanting a faucet such as are found in kitchen sinks. The adjustable flow is smooth and when directed onto the center piece of the fountain, silent. These have been a great success with cats demanding to have the faucet turned on. This listing is for the Downflow Cat Tap only. It does not include a fountain bowl.